Kim Babbitt '84 fainted while taking her SATs. She wasn’t nervous; she was hungry. Babbitt, who is associate dean of academic affairs in the College of Life Sciences and Agriculture, experienced food insecurity during high school when her family went through hard times. While there was always something to eat (mayonnaise and crackers for dinner after basketball practice), there wasn’t always enough. A 2015 survey conducted for a research project done by Alana Davidson '17 found that hunger is a problem here on the UNH campus. Of the 923 graduate and undergraduate students who responded, 25 percent went through the day hungry. The task force, with members including Babbitt, Davidson, Ted Kirkpatrick, senior vice provost and dean of students, David May, associate vice president of Business Affairs, and Joanne Burke, clinical assistant professor of nutrition, has applied for a $4,000 grant from the UNH Parents Association to further fund the initiative. “Right now, we’re trying to get the bank going and get the word out,” May says. 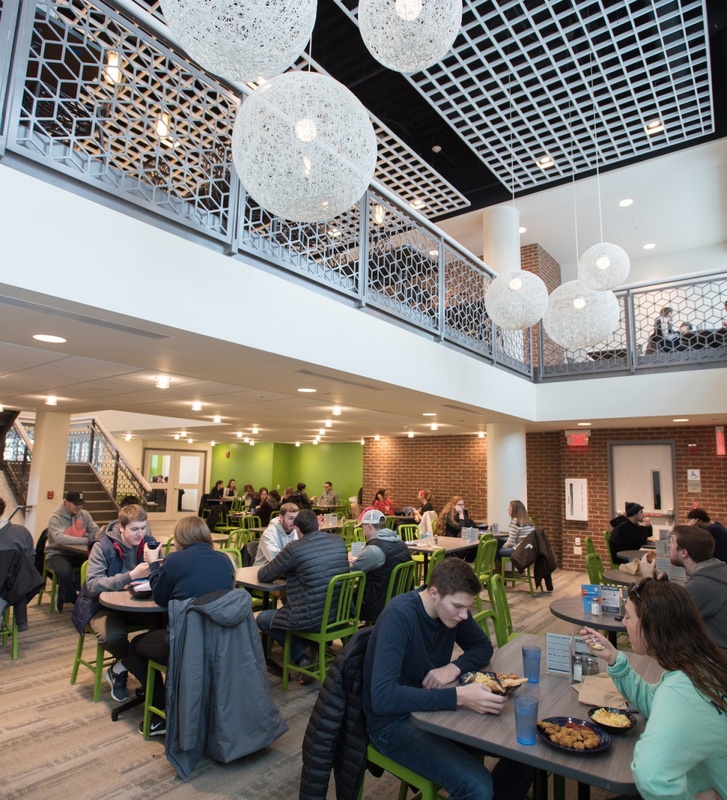 “We’re hoping faculty and staff will want to donate to the cause.” Plans are in the works to create a way for UNH employees to contribute from their own meal plans or in cash. In the dining halls, there won’t be any way to tell which students are receiving free meals and which are not. Food insecure students will have the same means of access as any student, either by scanning their finger or swiping a meal card. Referrals of students in need are expected to come to Kirkpatrick from the Counseling Center, Health Services, the Cornucopia Food Pantry and other campus departments. He and May will then make arrangements for those students to get the free meals. “This program is not designed to address long-term food shortages but rather to get a student through a matter of a few weeks to sort out a more sustainable way of ‘being’ on campus,” Kirkpatrick says. Interested in Supporting Swipe It Forward? UNH faculty and staff members interested in making a gift to the Swipe It Forward service via payroll deduction may do so here. New Hampshire is one of 12 states to have a rate of food insecurity that is lower than the 2015 national average of 12.7 percent. And while that is good news, it reflects a 3.6 percent increase from figures reported between 2003 and 2005. The 2014 Hunger in America report conducted by Feeding America revealed that about two million of its adult clients are full-time students. Feeding America, a network of more than 45,000 emergency food service organizations, releases the report every four years. “Hunger is a silent threat. We think of it in terms of countries that don’t produce enough food. Well, we produce enough, and we have people going hungry,” Davidson says. Babbitt hopes that by sharing her own struggles with hunger, students will come forward to get the help they need without any feelings of embarrassment or shame.